Aluminum post with choice of Ball or Cap topp. The thicker sized bracket hides the hardware for a seamless look . 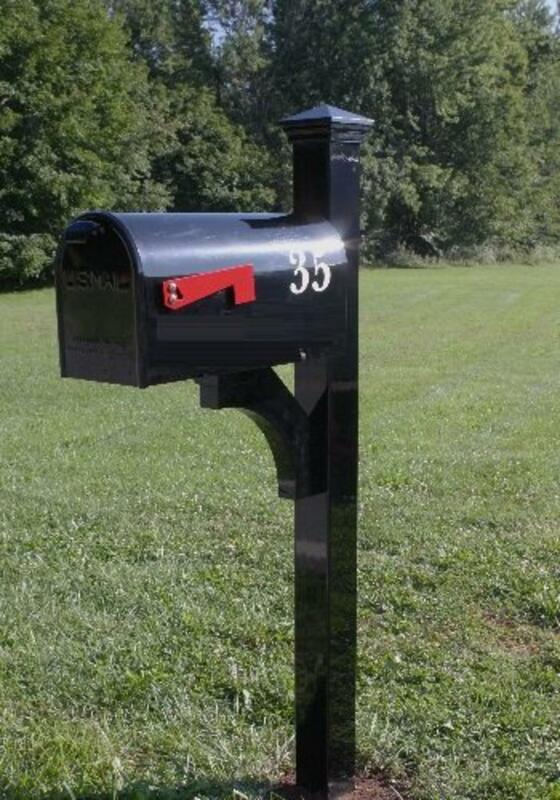 Galvanized Steel Newport mailbox with steel flag and full stainless steel hinge on the door. The Newport has no compromises in material, workmanship, or quality.